If you are travelling to Leeds by train and are looking for a hotel that is located close to the train station, hopefully this page will provide some useful information to help you with your search. Whether you are travelling to Leeds on leisure or business, you have plenty of options in terms of hotels near the railway station. There are several hotels in Leeds that are located very near to the train station and they all vary in both star rating and price. The prices on hotels do fluctuate and there are some really good deals to be found if you search. However, the prices on rooms at any one time really depends on when you are visiting Leeds as it is also based on supply and demand. As you can imagine, Leeds is a very busy city and attracts large numbers of people throughout the year for both business and leisure. 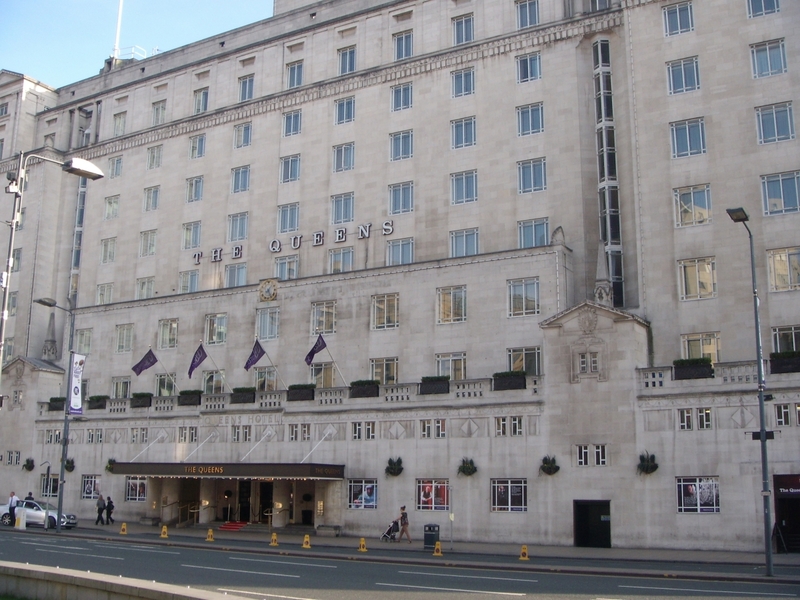 Events such as concerts at the Arena, football matches at Elland Road, Gay Pride, theatre shows and much more all contribute to how busy the hotels in Leeds become at any one time. At the weekends, Leeds attracts a large number of visitors due to is vibrant nightlife and many of the hotels can be busy with group bookings from Hen parties, Stag parties, birthday parties, wedding parties, work parties, clubs and organisations to name a few. Christmas and New Year are obviously very busy times of the year for the hotels in Leeds city centre due to the large number of party bookings. If you are visiting Leeds during one of the peak periods, it is wise to ensure you book your hotel well in advance. If you see a hotel that you like at a price you are happy with, it is advisable to book it! The chances are if you leave it until a later date, it will have gone. If you are visiting Leeds and are arriving by train, then it makes sense to stay at one of the hotels in Leeds city centre near the train station. It is convenient and will save you time and money having not to catch a taxi to your hotel once you arrive in Leeds. If you are arriving in Leeds by air and are landing at Leeds Bradford Airport and will then be travelling on to your final destination by train the next day, it is wise to book yourself in at one of the hotels close to the train station. This will allow you to start your onward journey with the least amount of effort and stress the next day. If you are visiting Leeds on leisure for a few days or a city break and you wish to explore the many great town, villages and cities in West Yorkshire that are situated close to Leeds, then having a base close to the train station is an added bonus. Staying at a hotel near the railway station will provide you with easy access to the station and will mean that you can easily connect with the many destination quickly. Towns, cities and villages such as Bradford, Halifax, Huddersfield, Holmfirth, Haworth, Hebden Bridge, Otley, Wetherby, Castleford, Pontefract, Wakefield are all places you can reach by train from Leeds, very quickly. Other towns and cities in North Yorkshire such as Harrogate, Knaresborough and York are great places to visit by train and even the seaside towns on the East coast of Yorkshire such as Bridlington, Filey and Scarborough are with reach by train. If you are visiting Leeds to watch a football match at Elland Road, there are several bus services on match days that transfer supporters to the football ground. The majority of these buses leave from underneath the train station. Please Note: There is no direct rail link to the Leeds United ground at Elland Road. The new Leeds Arena is located at the top end of Leeds city centre and is a 10-15 minute walk from the train station. There are a number of hotels that are located in between the train station and the Arena but the Radisson Blu is probably one of the most central hotel between the train station and the Leeds Arena. All the hotels in Leeds City centre that are close to the train station, also provide easy access to the main shopping centre in Leeds. The Trinity Shopping Centre, Harvey Nichols and Victorian Shopping Quarter are all great places to shop and spend a few hours during your visit. The closest hotel to Leeds train station is the Queens Hotel which is literally adjacent to the station. The Queens Hotel is literally right next to the train station and as you walk out of the train station heading into the centre of Leeds, it is right there at the end of the station. The Queens Hotel is a large 4 star hotel and is the perfect hotel if you require easy access to and from the train station and the centre of Leeds. The hotel provides a large number of facilities for Business professionals offering 16 conference and meeting rooms, with the Queens Ballroom being able to hold 500 people. Although The Queens Hotel is the closest hotel to Leeds train station, there are several other hotels that are within easy walking distance of the railway station and Leeds city centre itself. The following list of hotels are all located within 0.5 Miles of the train station and just a few minutes walking distance. Located next to the train station in Leeds, The Hilton hotel provide an ideal base for both Business professional and leisure guests visiting the city of Leeds. Located just across the road from the train station in Leeds, the Park Plaza hotel offers a great base for business guests and guests visiting Leeds for leisure. With easy access to the train station, city centre shopping area, nightlife and offering a large number of facilities such as a business centre, Free WiFi, Fitness centre, restaurants and bars, The Park Plaza is a great choice of hotel in Leeds. The Double Tree By Hilton Hotel is located on Granary Wharf which is close to the train station. The Double Tree hotel is an ideal location and is just a 5 minute walk from the train station itself. The hotels offer a number of business facilities with 19 meeting rooms and Wifi access. The hotel is also situated next to the Leeds & Liverpool canal and offers a canal side terrace and Sky Lounge as well as fine dining restaurants, fitness room and bars. Whether you are visiting Leeds on business or leisure, the Double Tree By Hilton is a great choice of hotel to choose. 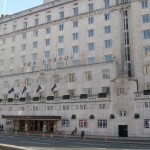 Located just a few minutes walk from Leeds train station is the Grade ll listed building and hotel The Met. The Met is one of the most iconic hotels in Leeds due to its terracotta building and it has won awards for it business facilities. The hotel offers a wide range of facilities for both business and leisure and guests can enjoy a food and drink in the stylish bars and restaurants and Micro gym. The hotel is ideally located for easy access to shopping and the vibrant nightlife of Leeds. The Marriot hotel in Leeds is ideally situated in the centre of Leeds and is just a short walk from the train station. The hotel is opposite the new Trinity shopping centre, which provides the gateway to the city centre shopping area. The hotel offers business facilities and has 17 meeting rooms as well as having leisure facilities such as a swimming pool, whirlpool and gym. Quebecs Hotel in Leeds is an independently owned 4 star hotel that is situated in the financial area of Leeds city centre. The hotel is just 300 metres from the train station in Leeds and is within easy walking distance. The hotel is a Grade ll listed building and offers great facilities including business and meeting rooms and a mixture of rooms such as Club rooms, Deluxe, Executive and suites. The Malmaison Hotel Leeds hotel is located just 5 minutes walk from the railway station in Leeds. Business or pleasure, you will have all the facilities to suit your requirements. Leeds city centre shopping and nightlife is just a short stroll from the hotel and there are several bars and restaurants located very close to the hotel itself. Roomzzz is an Aparthotel and offers 36 apartments and studios that are ideally located in the centre of Leeds close to the train station. Roomzzz offer 36 different types of Apartments and studios and are an alternative type of accommodation and are worth considering, especially if there are several people people in your group. The Novotel Hotel is located just 3-5 minutes walk along from the rail station in Leeds and offers great facilities for both business and leisure guests. The hotel offers free Wifi to its guest in all rooms, all day Bistro dining, Fitness centre with sauna, bar area and meeting rooms. The hotel is within a 10 minute walk of the main shopping area in Leeds and is within easy access of all the main bars and clubs for nightlife. The New Ellington hotel is located just 5 minutes walk from the train station in the business district of Leeds. The hotel offers a Bespoke feel as well as all the facilities you will need for your stay such as free WiFi, bars, meeting rooms and luxury bed rooms whether you are visiting on business or leisure. The hotel is also within easy access of the main city centre and nightlife. Located just 10 minutes walk along the main road from the train station, the Crone Plaza hotel offers a wide range of facilities to its guests. If you are looking for a hotel that offres business facilities, the Crowne Plaza has 7 meeting rooms and offers free WiFi to all guests. If you are simply looking for a leaisure break hotel then the hotel offers a fitness centre with swimming pool, sauna and spa treatments. The Crowne Plaza is within easy reach of the city centre and is a good choice for both business and leisure visits. The Jury’s Inn hotel in Leeds is located in Brewery Wharf, which is on the banks of the River Aire and is approximately a 10 minute walk to the hotel from the train station. For business guests, the hotel offers Meeting rooms and facilities and for leisure guests the hotel has a restaurant, bar and gym. The hotel is just a 10 minute stroll from the main shopping centre of Leeds and has a selection of bars and restaurants close by. There are a number of 3 star hotels in Leeds that are locate close to the train station and the list below are some of the more popular hotels. The Cosmopolitan is conveniently located within easy walking distance of Leeds central train station and also within easy walking distance to the shops, bars, restaurants and attractions. The Clayton Hotel is located at the end of the M1 and M621 junctions. The hotel is approximately 10-15 minutes walk from the train station and the centre of Leeds itself. There are two Holiday Inn Express hotels in the centre of Leeds and this hotel is located outside the centre. The walk from the hotel will take you a good 20 minutes but if you have a lot of luggage, you might be better off taking a taxi. Located next to the Royal Armouries museum, the Holiday Inn Express is a 15-20 minute walk from the train station. Once again, if you have a lot of luggage, it could be a long walk. If you are searching for a cheaper option, there are a couple of budget hotels within walking distance of the train station. The Discovery Inn is very close to the train station and is just a coulpe of minutes walk across the road. This hotels offers a cheaper price but obviously has less facilities for its guests. On the outskirts of the city centre is the ibis hotel and this can be reached from the train station on foot in about 15-20 minutes. The ibis offers a cheaper option if you are on a limited budget and is closer to the bus and coach station than the railway station in Leeds.